Pro Kabaddi League 2018 Schedule, Fixtures, Teams, Time Table, Players List, Squad: Complete schedule and squad list of Pro Kabaddi 2018. 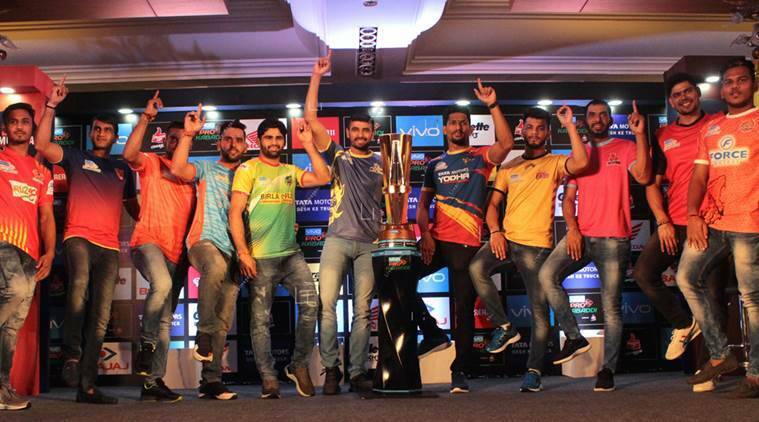 Pro Kabaddi League 2018 Schedule, Fixtures, Teams, Time Table, Players List, Squad: Pro Kabaddi returns for the sixth season and this time, the caravan sets off from Chennai. The Tamil Thalaivas will be hoping to make the most of the early home advantage. They would also be weary of the fact that most other teams last season perished under pressure and the unbroken string of fixtures that comes with playing at home. Their defence would be tested early on as they would be facing Pardeep Narwal. The auctions this year garnered the limelight with all franchises breaking bank to bag their desired players. At Rs 1.15 crore, Monu Goyat became the most expensive player. Five other players made their entry into the Rs. 1 crore-club including the likes of Rahul Chaudhuri, Nitin Tomar and Iran’s Fazel Atrachali. Meanwhile, before the games begin here’s a look at the full squads.